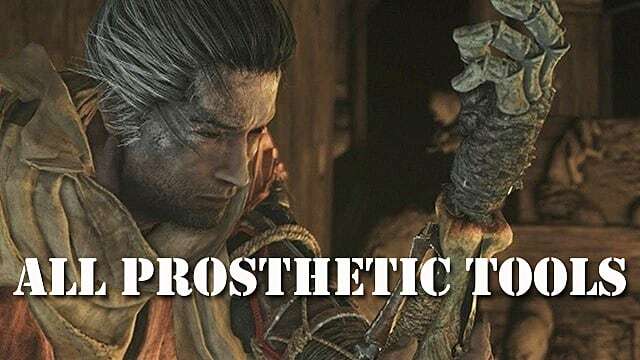 There are 10 upgradable prosthetic tools in Sekiro: Shadows Die Twice. 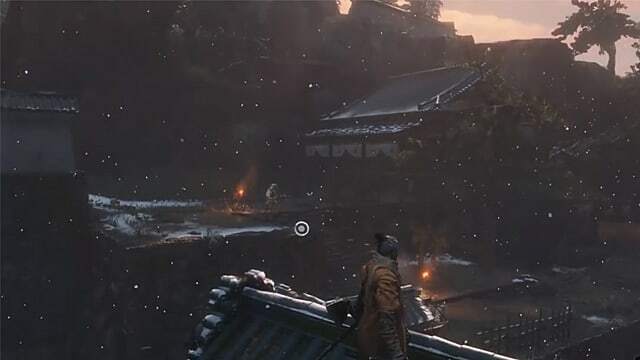 However, since each of them is hidden in different areas around the map, it will take you a while before you will be able to find and use all of them. It is important to keep in mind that you must have enough spirit emblems to utilize these prosthetics tools as well. You can purchase these with Sen by visiting any Sculptor's Idol; each emblem costs 10 Sen.
You can then visit the Sculptor himself at the Dilapidated Temple to upgrade them into better and more deadly versions as you progress. 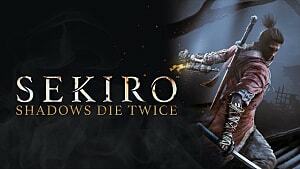 This guide will show you exactly where to find each prosthetic in Sekiro: Shadows Die Twice. Find the Outskirts Wall - Gate Path idol near the entrance gate of the location. Then, hop on top of the building near the idol. You will see a broken wall on one of its sides. Enter the room behind the broken wall and you will see a dead body on the floor. Pick up the Shuriken Wheel from the body. Then, head to the Sculptor and give him the Shuriken Wheel. He will be able to upgrade it into the Loaded Shuriken prosthetic. 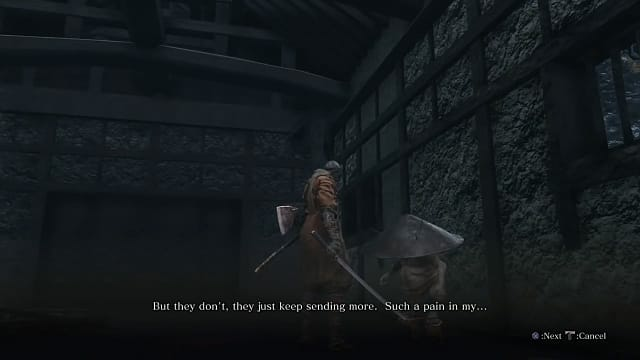 In order to obtain the Shinobi Firecracker prosthetic, you must first purchase Robato's Firecrackers from Crow's Bed Memorial Mob. You can find him at Outskirts Wall - Gate Path idol near Inosuke Nogami. You will see a cliff nearby. Use your grapple hook to hop on top, where you will find the NPC merchant. After you buy the Robato's Firecrackers, go back to the Sculptor and ask him to make you the Shinobi Firecracker tool. 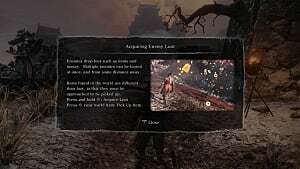 Travel to Estate Path idol at Hirata Estate, and then go over the wall, where the camp of enemies is located. 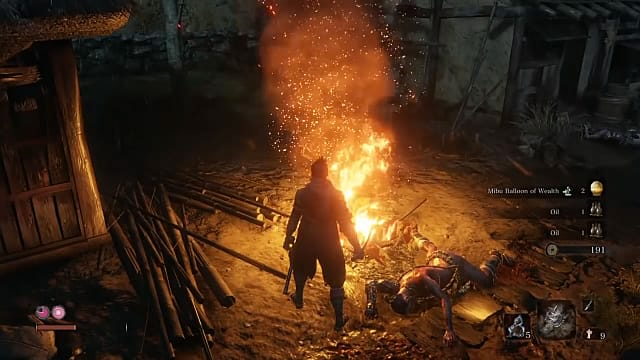 Find a huge campfire burning with several enemies surrounding it. 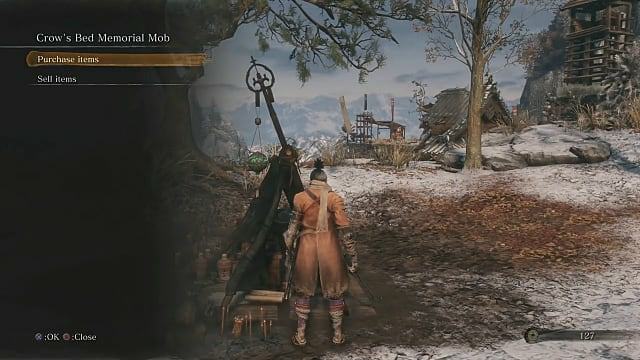 Defeat all the baddies and collect the Flame Barrel from the campfire itself. As usual, bring it to the Scultpor in exchange for Flame Vent prosthetic. 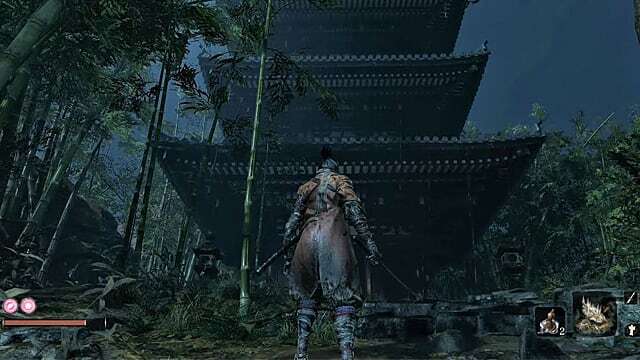 Return to the previous campfire and go up the stairs, which will lead you to a temple gate. 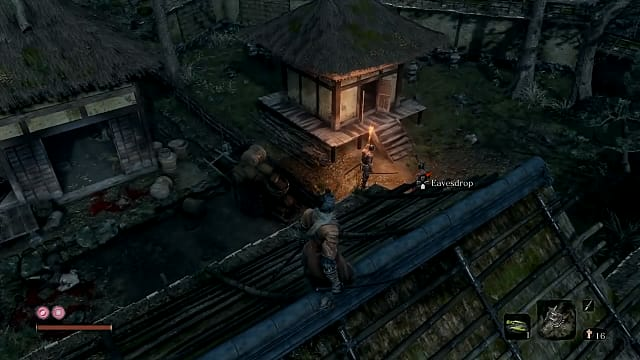 Grapple on top of the gate and eavesdrop on two enemies talking near a small garden house. Attack and kill them both. 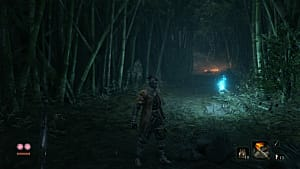 Then, open the doors of the small garden house and pick up the Shinobi Axe of the Monkey, which is required for the Loaded Axe prosthetic. Travel to the Bamboo Thicket Slope idol at Hirata Estate. Go upstairs and look out for the cave entrance to your right. 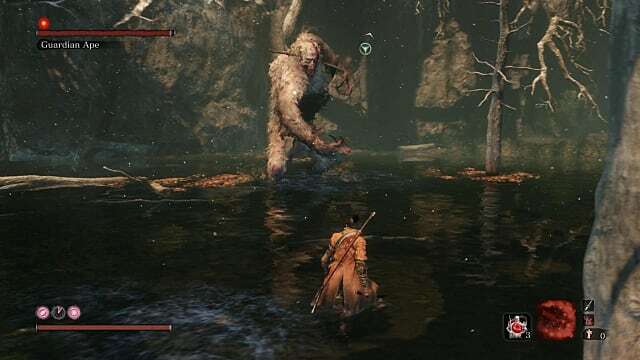 Run through the cave until you reach the opening at the top, and grapple your way upward. Go upstairs and reach a secret temple protected by a purple ninja. 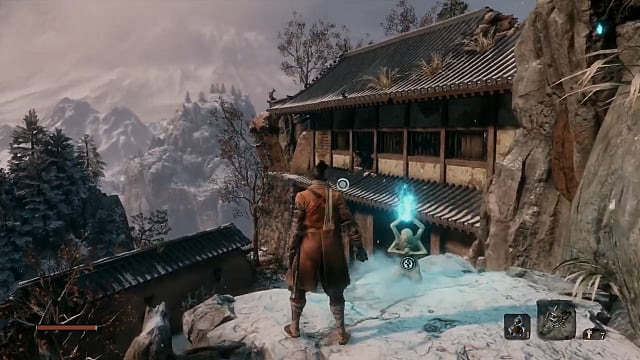 Defeat the ninja and collect the Mist Raven's Feathers from the temple. 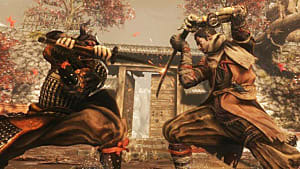 Travel to Ashina Castle idol and eavesdrop on two enemies talking at the bridge. 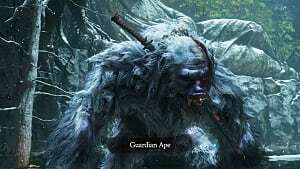 Defeat both of them and pick up the Gatehouse Key. Then, turn right and go to Ashina Reservoir. Find the house where you learned underfloor sneaking and open it using the key. 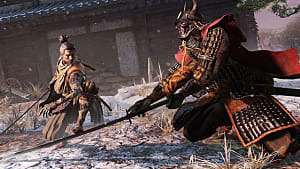 Inside the house, you will find a chest with Gyoubu's Broken Horn, an upgrade material for the Loaded Spear. Go to the Upper Tower - Antechamber idol and go upstairs into the hall with two openings. Drop down one of the openings and defeat four enemies guarding the ground floor. 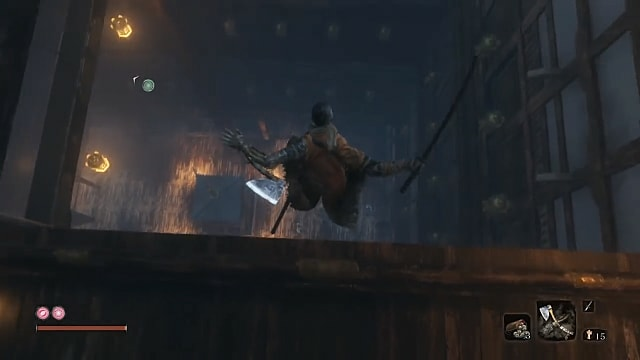 Then, enter a small room with a chest, which contains Sabimaru. .
Travel to the Old Grave idol in Ashina castle and drop down through the opening in the roof of a building right in front of you. 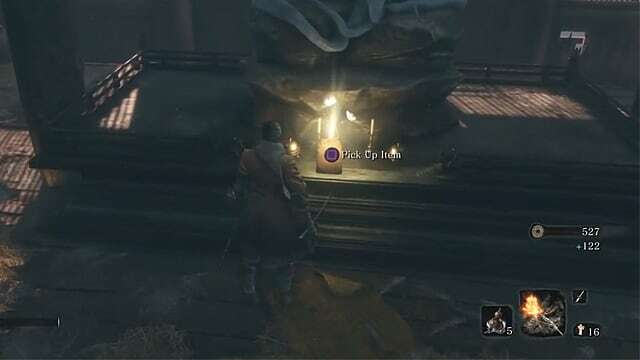 Inside the building, you will see the Blackhat Badger, an NPC who can sell you the Iron Fortress for 1,600 sen.
Purchase it and go back to the Sculptor. Go to your right from the Gun Fort idol at Sunken Valley through the cave, and defeat Long-arm Centipede Giraffe protecting the altar. Pick up the Large Fan item from the altar and bring it to the Sculptor. Lastly, go to the Bodhisattva Valley Sculptor's idol and fight the boss of Sunken Valley - Guardian Ape. As soon as you defeat this enemy, you will be awarded the Slender Finger, which you can take to the Sculptor for one final upgrade.